How do you experience the real Berlin? 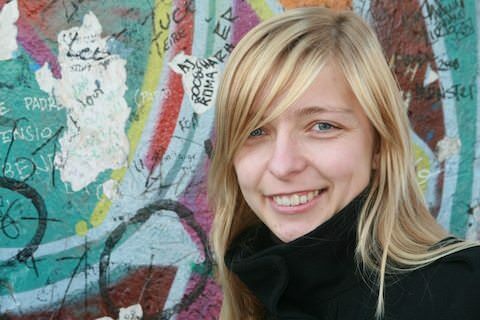 Nicole Röbel (pictured), who represents Berlin’s official tourism department, lists five things visitors must do to say they’ve truly been to Berlin. Try the currywurst. What is it? Sausage and sauce. No one knows for sure how it originated, but it consists of curry powder and ketchup and a big slab of sausage. You’ll find currywurst anywhere and everywhere, but at Ku’damn 195, situated appropriately at Kufurstendamm 195, you can order your currywurst with champagne. Splurge with a bottle of Dom Perignon (from 180 euros to 330 euros) or economize with a glass of Sekt, the German sparkling wine, for only a few euros. Stroll Unter den Linden, the renowned tree-lined boulevard between Brandenburg Gate and Museum Island. If you have time, it is also worth a visit to Stasi Gefängnis, where ex-politcal prisoners give guided tours through the former prison. W Imbiss, healthy fast food, with such dishes as fresh made Naan pizza. Best nightlife: “The best clubs are hidden; it makes them more exclusive,” Nicole says. To join the exclusive crowd, find your way to Solar Berlin at Stresemannstrasse 76. If you succeed in finding it, you’re in – in more ways than one.